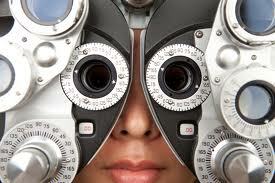 The fourth National Eye Health Week will take place on 16 – 22 September 2013. Once again, eye care charities, laser eye surgery providers, eye clinics, organisations and health professionals from across the UK are joining together to promote the importance of eye health and the need for regular sight tests for all. 1.8 million people in the UK are living with sight loss. For 53% of these, a simple sight test could really help. For healthy eyes, eat well, don’t smoke and wear eye protection in bright sunlight. Vision really matters. Sight is the sense people fear losing the most, yet many of us don’t know the best way to look after our eyes and National Eye Health Week aims to change all that.